In a joint filing by Jerome Lande and Craig Rosenblum‘s Coppersmith Capital and Scopia Capital Management, founded by Matt Sirovich and Jeremy Mindich, the duo has disclosed a joint stake of 2.81 million shares in Itron, Inc. (NASDAQ:ITRI), which represents about 7.4% of the company’s outstanding stock. Coppersmith held about 920,259 of these shares, while Scopia owns the rest. In a previous filing, the two funds disclosed a joint stake of 2.35 million shares and intended to engage the company’s management in a constructive dialogue to unlock shareholder value. 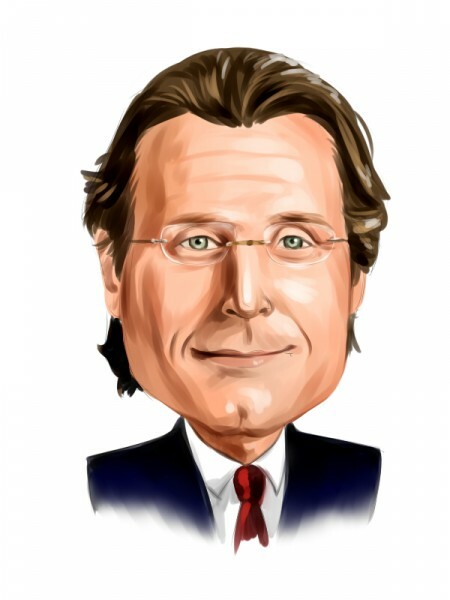 In a separate development Bruce Berkowitz‘s (pictured) Fairholme Capital Management slightly trimmed its stake in St. Joe Co (NYSE:JOE) by disposing of some 169,000 shares taking the total stake to 24.46 million amassing a hefty 32.3% of the company’s outstanding shares. Most investors don’t understand hedge funds and indicators that are based on hedge funds’ activities. They ignore hedge funds because of their recent poor performance in the bull market. Our research indicates that hedge funds underperformed because they aren’t 100% long. We uncovered that hedge funds’ long positions actually outperformed the market. For instance the 15 most popular small-cap stocks among funds beat the S&P 500 Index by more than 80 percentage points since the end of August 2012. These stocks returned a cumulative of 118% vs. a 60% gain for the S&P 500 Index (read more details). That’s why we believe investors should pay attention to what hedge funds are buying (rather than what their net returns are). Coppersmith was launched in 2012 and primarily engages in event driven investing. The market value of the fund’s public equity portfolio stands at $95.03 million. Scopia Capital managed to return 13% in 2014 when the average hedge fund returns hovered around 3%. Currently the value of Scopia’s public equity portfolio stands at $5.15 billion with 23% of the holdings in the healthcare sector. The $1.18 billion industrials company Itron, Inc. (NASDAQ:ITRI) offers metering solutions to electric, natural gas and water utilities with a vast majority of its revenues coming from North America and EMEA regions. So far this year the company’s stock price has cratered by more than 25%, but things have been looking up since the two hedge funds took significant stakes in the company during September. However, the time frame is too short to form any conclusions about long term meaningful change taking hold. Among over 700 hedge funds that we track, the interest in Itron, Inc. (NASDAQ:ITRI) has slipped during the second quarter as a total of 16 funds held the company in their portfolio at the end of June with the aggregate value of their holdings stood at $92.86 million as compared to 18 firms holding $99.11 million in shares at the end of March. Impax Asset Management, which was founded by Ian Simm increased its stake in Itron, Inc. (NASDAQ:ITRI) by 2% during the June trimester to some 1.23 million shares valued at $42.46 million. At the end of June, hedge funds collectively held about 7% of Itron’s outstanding shares. Berkowitz established Fairholme in 1999. The fund doesn’t only invest in value stocks, but also in distressed and special situations. The market value of the fund’s public equity portfolio currently stands at $4.92 billion, with 74% of the investments allocated to the finance sector. Smart Money Likes Only One of These Two Companies that Added New Catalysts... Beyond Tesla: Best Lithium Stock To Buy Right Now What Do The World’s Greatest Investors Think of These Hot Biotech Stocks... Here’s Why Northrop Grumman’s Decline on Thursday Might Be an Overreaction... Do Hedge Funds Agree with Mr. Market as these Stocks Fall on Weak Outlook? Has Amazon Surpassed Netflix As The Top Streaming Service?